Blog landing speed is very important for a blog. Content is the king but the landing speed is a determination factor whether your content will be read or not. Google has factored blog speed in the Google search rank since 2010. People tends to get everything faster, slower web page will be abandoned by Internet user. There are several ways to check site speed. In this article i will cover 6 ways that we can do to check our site peed or blog speed and how to interpret the number that come out from the speed test result. On April 2010, Google has announced that they will use site speed in web search ranking. It means that the site speed will be factored in the Google web search algorithm. Faster site will rank higher in Google search. Google said that Faster site create happy users. On January 2018, Google has announced another post about blog speed. Google emphasize that the page speed will be a ranking factor for mobile search staring July 2018. So we have already understand the importance of site speed or blog speed. How do we know our blog speed? What is the tools that can be used to check our site speed? There are many ways to check the site speed. 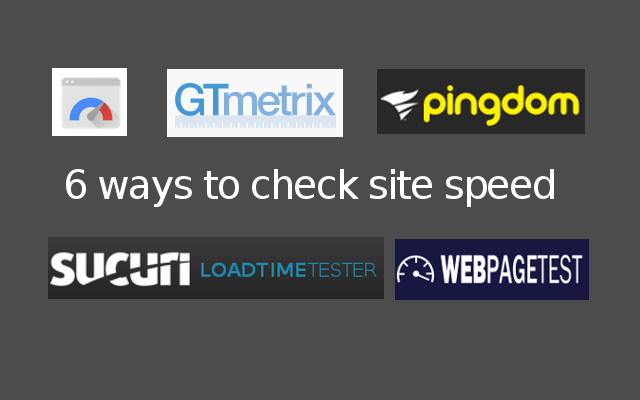 Below is 6 ways to check your site speed or blog speed. We can check our site speed directly from our Internet Browser. We can be one of our blog visitor coming to our blog and feel the speed experience. We can feel whether speed is still acceptable of make us runaway leaving the blog. I think this is a primary measurement despite of other quantitative tools that can give us many number that make our head dizzy. However we still need quantitative tools if we want to improve our blog speed. The quantitative tools give us the breakdown of the speed loading time and give us recommendation to improve the blog speed. 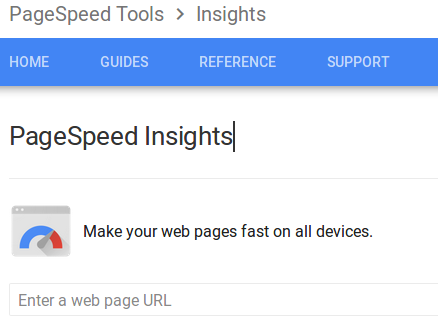 To use Google PageSpeed Insights, we only need to enter our we page or URL and click Analyze. The tools will run a speed test and give the result in quantitative measurement both for mobile environment and desktop environment. There are two result of PageSpeed Insight test. The first one is speed data and the second one is optimization data. There are two metrics in speed data. The FCP and DCL with second unit measurement. Lower value is better performance. First Contentful Paint (FCP) measures when a user sees a visual response from the page. Faster times are more likely to keep users engaged. DOM Content Loaded (DCL) measures when HTML document has been loaded and parsed. In some cases when the speed data is not available, especially for blog that is not so popular. Google PSI (Page Speed Insight) gives some recommendation to improve the speed performance based on the test. We can try Google PSI recommendation and check how the speed performance changed. We can also use GTmetrix.com to check our site speed. GTmetrix will give us PageSpeedScore, YSlow Score, loaded time and total page size. In one test we can only use one server location. The good things about GTmetrix is the waterfall chart of the loading speed time. By having this data we can check which part of our blog that make the loading speed become longer. GTmetrix is also provide historical data of our blog speed based on the test that we have conducted. By doing so, we can monitor the blog speed over a period of time. 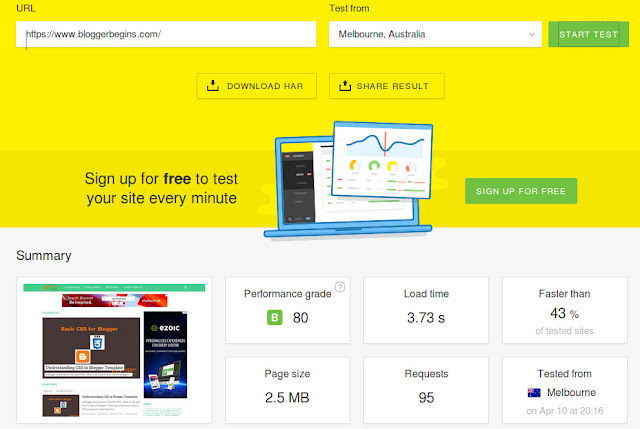 Pingdom tools is the first website that i used to measure the loading speed of a blog or site. We can use webpagetest.org to measure site speed. This service are available on the link below. 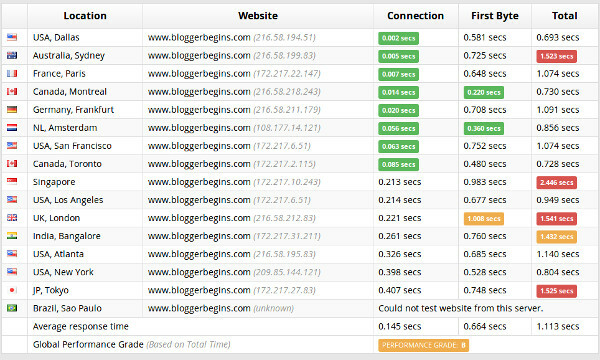 Last but not least, we can use sucuriloadtime tester to check our blog speed. It can be accessed through the hyperlink below. So.. have you check your blog speed?Please leave comment and share your experience if you want to. 3 Responses to "How to check site speed"